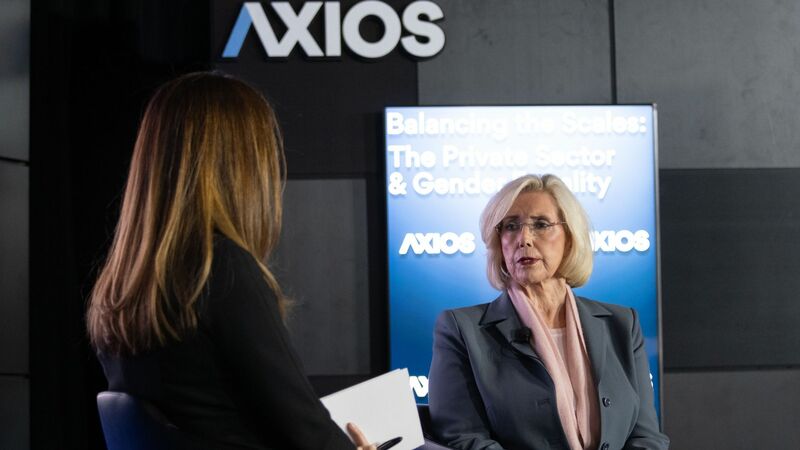 Wednesday morning, Axios' Evan Ryan hosted a business-leader-stacked conversation on the private sector's role in advancing gender equality. The lineup: Arne Sorenson, Marriott CEO; Anne Pramaggiore, Exelon Utilities CEO; Tony West, Uber Chief Legal Officer; and Lilly Ledbetter, namesake of the Lilly Ledbetter Fair Pay Act. Why it mattered: Ryan dug into what both businesses and advocates can do to close the gender pay gap and create safe, productive working environments for all employees. Pramaggiore discussed the various initiatives Exelon has undertaken in order to advance the role of women in the company, including signing the Obama White House's Equal Pay Pledge and joining the UN's HeForShe campaign. The effect of signing the pledge: "What it does is it sends a message ... that we have a culture that embraces women and we're going to make sure that there's fair pay." West spoke about the steps Uber is taking to advance gender-equality within its 20,000-person company, including ending mandatory arbitration. West's take: It's important to lead by example. When I came to Uber, I wanted to build a world class legal team. 12 months later I've hired or promoted 13 individuals —8 of them are women. Sorenson, whose direct reports are 50% female, explained how and why Marriott is consistently recognized as a great place working place for women and what the company's gender parity goals are for the future. Marriott's goal for female-male leadership breakdown: "50/50 by 2025." The bottomline-impact of embracing diversity: "If I know I can succeed, no matter who I am, I am going to be a better worker." Ledbetter discussed why these conversations mattered and shared her own story: fighting for the Lilly Ledbetter Fair Pay Act after coming across an anonymous note telling her that her salary was 20% less than her male counterparts, and had been for the 19 years she was at Goodyear. Advice to women: "Research companies and get reliable pay early. Once you've lost it, you can't get it back. It's not just that job it's the rest if your life. It impacts retirement, social security, and raises based on percent-increases."